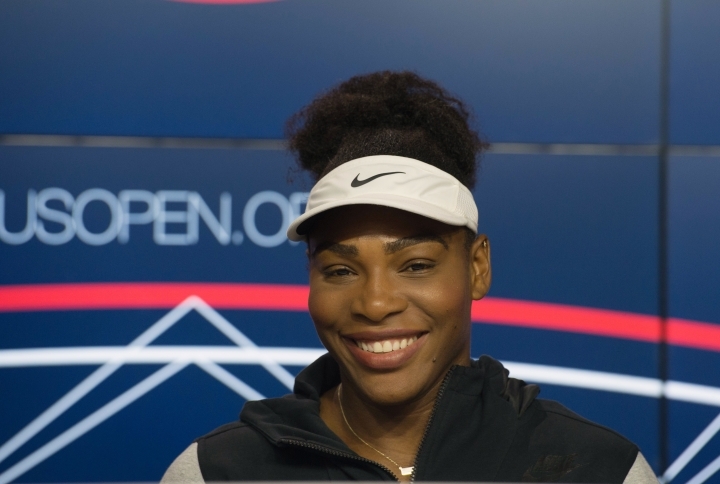 NEW YORK — Serena Williams is "starting to feel a little better." Novak Djokovic is "getting there." The U.S. Open's top seeds in both singles brackets are coming off injuries, and neither has played since an early loss at the Olympics. Friday was the first time either had discussed the health problems that stymied them in Rio de Janeiro and forced them to withdraw from the hard-court warmup at Cincinnati. For Williams, it's a sore right shoulder that she revealed started bothering her almost immediately after her Wimbledon victory. She said she practiced for just two days before the Olympics and has spent little time on court since as she undergoes physical therapy. For Djokovic, it's a sore left wrist that he revealed he hurt in Rio a few days before his first-round Olympic loss to Juan Martin del Potro, a player who knows plenty about how that injury hinders a righty's two-handed backhand. "I'm just hoping that Monday when the tournament starts I'll be able to get as close to the maximum of executing my backhand shot as possible," said Djokovic, who sounded a bit more optimistic than Williams on Friday. Williams acknowledged she'd prefer to have played more coming into the Open — she's had just three singles matches since Wimbledon — and needs to practice more. "I'm just now starting to feel a little better," she said. "Hopefully just every day I will keep going higher." It wasn't a physical problem that burdened Djokovic during his third-round Wimbledon loss to 41st-ranked Sam Querrey, he acknowledged. Asked that day if he was 100 percent healthy, the 12-time major champ replied: "Not really. But it's not the place and time to talk about it." On Friday, Djokovic conceded "it was some other things that I was going through privately." He wouldn't elaborate other than to say that now "everything is fine." Speaking of left wrist injuries, Rafael Nadal said his keeps getting better but still isn't 100 percent. Because the 14-time Grand Slam champ is a lefty, his issue is the forehand. When he first came back, he recalled, "you try to find movements to avoid the pain." Now he can start to hit his normal forehand again, but it "still needs time to feel that I am more confident in my wrist." Both Djokovic and Williams face a former Grand Slam semifinalist in the first round. Williams opens her bid for a record-breaking 23rd major title against Ekaterina Makarova, who's coming off an Olympic doubles gold medal. The Russian made two straight major semis — at the 2014 U.S. Open, losing to Williams 6-1, 6-3, and the 2015 Australian Open. With her ranking slipping to 36th, she just missed a seed at Flushing Meadows. Doing an interview shortly after the draw was set, Djokovic joked he wasn't "mentally ready" to see his bracket quite yet and wanted to wait until "I'm alone." What he'll see is a meeting with Jerzy Janowicz, a 2013 Wimbledon semifinalist who's been ranked as high as 14th. After struggling in recent years and missing much of this season because of injuries, Janowicz is No. 228 in the world and used a protected ranking to get into the U.S. Open. 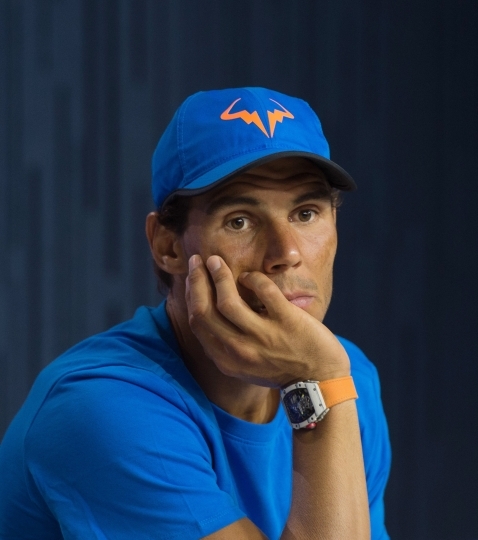 Nadal is a potential semifinal opponent for Djokovic, the defending champ, while Andy Murray and Stan Wawrinka are in the other half of the bracket. Williams could face fourth-seeded Agnieszka Radwanska in the semis, which is also when she could potentially meet sister Venus. Australian Open champ Angelique Kerber and French Open winner Garbine Muguruza are on the other side of the draw. Earlier in the tournament, Williams could run into opponents who have eliminated her at past majors. In the third round, she could meet Ana Ivanovic, who beat her at the 2014 Australian Open. And in the fourth round, she could face Sam Stosur, who stunned her in the 2011 U.S. Open final. Del Potro, the 2009 U.S. Open champ, is ranked just 142nd after three left wrist surgeries. Last week, Steve Johnson, the highest-ranked U.S. men's player, questioned whether the U.S. Tennis Association should award del Potro the wild card he'd need to get in because the Argentine could possibly defeat an American in the first round. That scenario won't occur — del Petro meets countryman Diego Schwartzman in his opener. But the 19th-seeded Johnson could face the Olympic silver medalist in the second round. Between Wimbledon and the Rio Games, del Potro defeated three of the U.S. Open's top four seeds.